The Butterfly Junior Rollaway is a 3/4 sized table tennis table designed for indoor use. 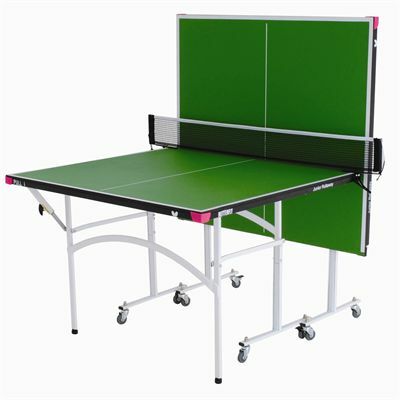 The table is a great choice when you have a limited space to play and comes supplied with a Butterfly Clip net and post set, 2 reverse sponge bats and 3 quality practice balls. 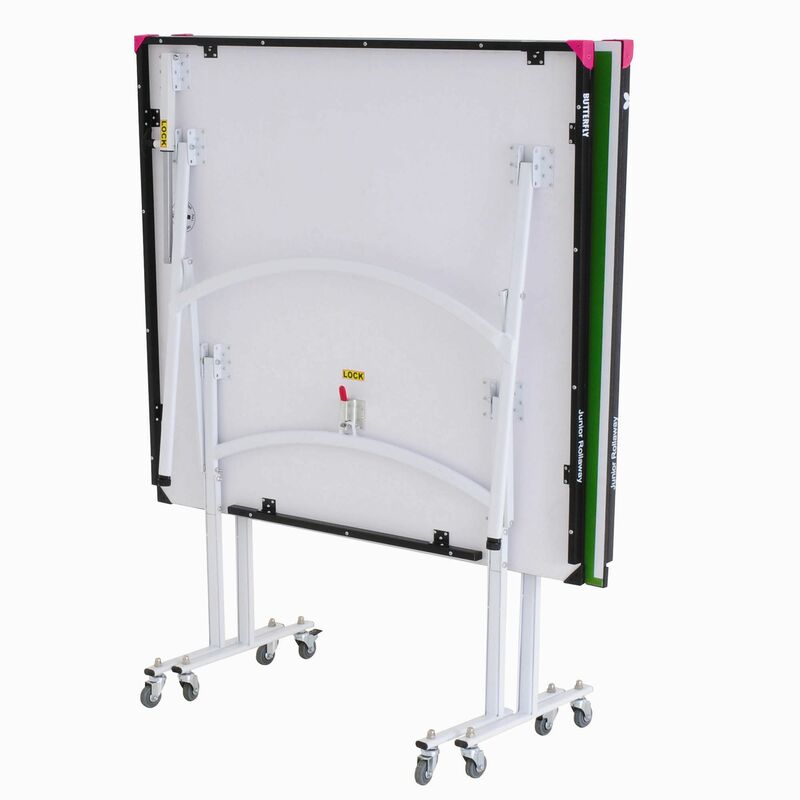 It has a 12mm green playing top and features 2 separate halves, both with 4 wheels for easy transportation. The table is perfect both for children and adults as it has the same height as the full size tables. In addition, the halves fold for easy storage. 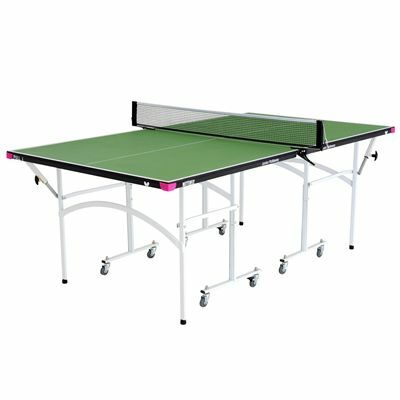 for submitting product information about Butterfly Junior Rollaway Table Tennis Table We aim to answer all questions within 2-3 days. for submitting product information about Butterfly Junior Rollaway Table Tennis Table. We aim to answer all questions within 2-3 days. If you provided your name and email address, we will email you as soon as the answer is published. 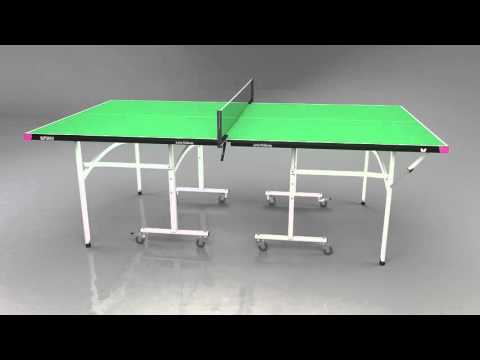 for submitting product review about Butterfly Junior Rollaway Table Tennis Table.